This is a sponsored article on behalf of Taste of London. Trishna knows a thing or two about spicing meat. Test their skills at this year's Taste of London. Photo: Trishna/Facebook. Get your tickets now! Use the code 'Londonist' to redeem the discount at the checkout. There are not many Michelin-starred restaurants in London. It's a cuisine which tends to fall prey to chefs who attempt to make it into 'fine dining' by plonking fiddly bits on square plates and add another zero to the price tag. Not so at Trishna, which has been consistently brilliant since it opened and has held a Michelin star since 2012. 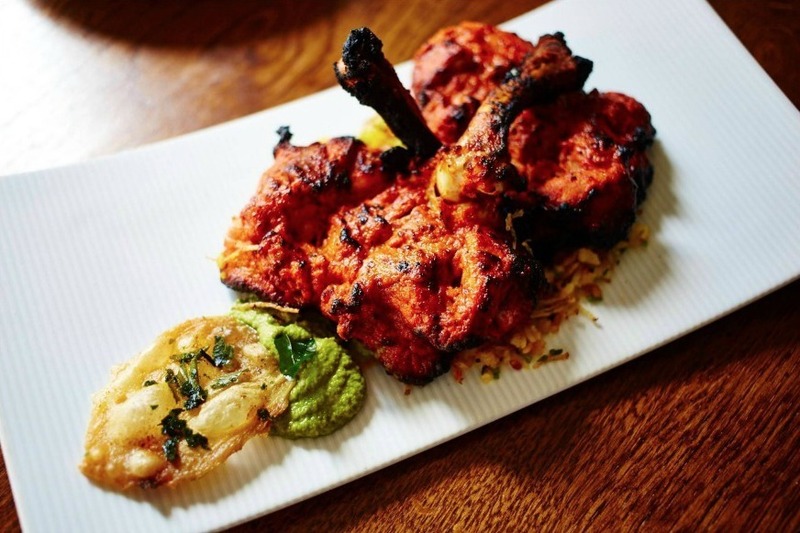 Their lamb chops are legendary and will be available to try at this year's Taste of London. Marinated in Kashmiri chilli, ginger and onion, they're thickly spiced, rich and intense with a finger-sucking paste that's officially addictive. They'll also be serving aloo chat, a tongue-tickling snack of potato, masala chickpea, tamarind and sweet yoghurt, and a punchy chicken pepper fry, which sees the meat stir fried with Keralan spices, black pepper and Indian onion. 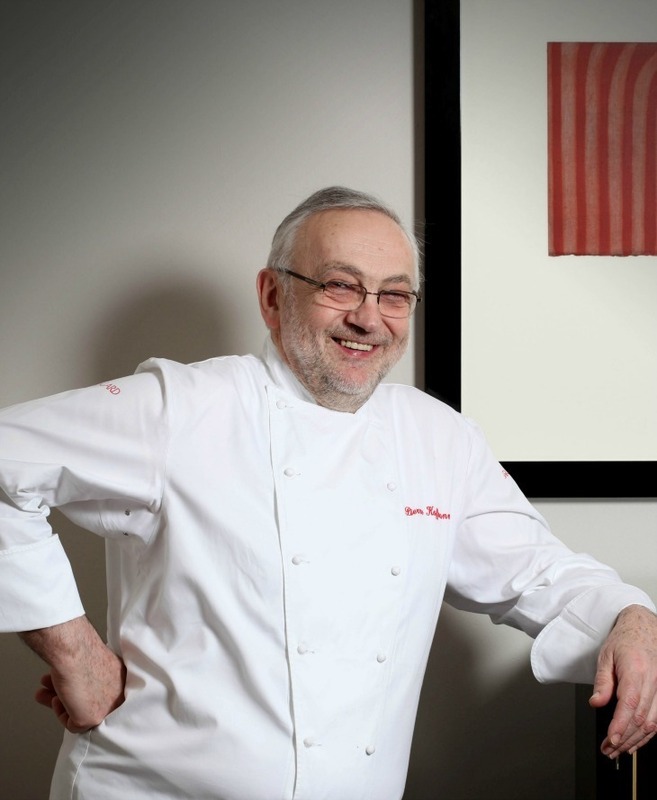 The legend that is Pierre Koffman will be at Taste of London. Some of London's best BBQ is cooked in the kitchen at Shotgun. Southern American chef Brad McDonald is a master of smoking meat and the Shotgun stall at Taste of London will include a bun stuffed with the ever-popular pulled pork; there’s a huge difference between properly made pulled pork that's been smoked gently over wood and that cotton wool doused in too-sweet sauce that you find in lots of pubs nowadays. Make sure you get to taste the real deal here, served with yellow mustard and BBQ sauce. They'll also be serving up proper, Southern-style fried chicken, all craggy with crunchy spiced batter and juicy meat within. Finish with a cheeky jam doughnut. Fancy something a little more classic? Then head over to Koffman's. 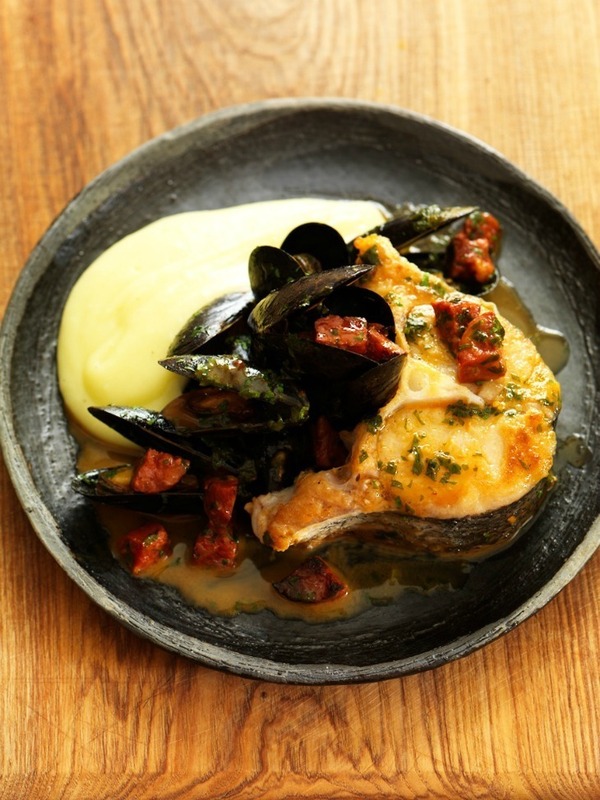 This French restaurant is headed by Pierre Koffman, who once ran the legendary 3* La Tante Claire in Chelsea and has trained some of the greatest chefs in the business, including Marco Pierre White, Gordon Ramsay, Marcus Wareing, and Bruno Loubet. This year Taste of London will be celebrating the 50th anniversary of Koffman in the industry and the man himself will be at the festival on the opening night (15 June) cooking live and answering your questions in the AEG Taste Theatre. At Taste of London you can start by trying their fish soup, a rich concoction that tastes of the deepest corners of seashells, followed by braised, home style beef cheeks with mashed potato, and dark chocolate mousse to finish. These simple menu descriptions give away nothing about the skill involved in making each dish. 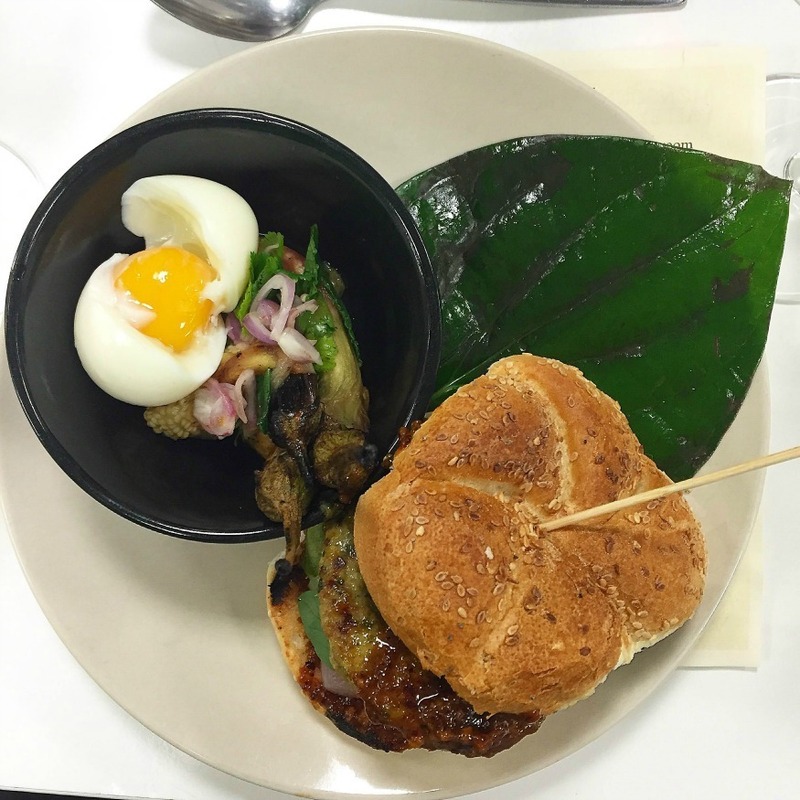 The pork and prawn burger at Farang is surf 'n' turf heaven. Photo: Helen Graves. This Thai street food pop-up and market stall is run by Sebby Holmes, who fell hard for Thai food when he worked at Peckham's Begging Bowl, then went on to launch the excellent Smoking Goat in Soho. He is part of the new wave of authentic and brilliant Thai food that we're seeing right now in London and you shouldn't miss your chance to try some of the cooking here. Start with green curry cod cakes with pak chi farang (a herb), sweet basil and fiery sweet chilli lime jam (a veggie option is also available). They'll also be serving The Farang Burger, made with pork and prawns, and served with a coconut and dried shrimp chilli jam, pickled cucumber and ginger and Thai basil. These are not timid flavours. To finish, there's a sticky berry black rice pudding with condensed milk and lemongrass. One of the most exciting menus at the festival, for sure. Experience the best of Basque at Ember Yard. The fourth restaurant from the Salt Yard group is focused on serving food from the Basque Country and Tuscany. Expect punchy flavours served in refined, dainty style such as a sweet-savoury goats' cheese and vanilla cheesecake with strawberries and basil, and a chickpea, salt cod, piquillo pepper and 'nduja 'salad'. The dish we're most looking forward to though is the summer truffle, pecorino and wild mushroom croquettes served with a truffle aioli, which sounds most definitely like something we'd like to wash down with a glass of fizz or three. Taste of London takes place from 15-19 June at Regent's Park. Tickets are £13-£25 and can be booked in advance online. Get reduced price on entry tickets using the code 'Londonist' at the checkout. Follow Taste of London on Facebook and Twitter. Share your Taste of London experience on social, using the hashtag #TasteofLondon.